Shanghai-based China Eastern Airlines has confirmed that it had raised its demand for claims with Boeing after two Boeing 737 MAX aircraft crashes, adding that its final demand will be in line with that of the aviation administration because more than one carrier in China is using the model. A source from China Eastern, who spoke on condition of anonymity, told China Daily on Wednesday that the carrier is in communication with Boeing on MAX-related issues, but is not ready to make any announcement yet. "China Eastern is not the only airline affected by the grounding, thus our stand will be in line with the Civil Aviation Administration of China, and the final decision will depend on the request of the CAAC," said the source. An executive from the carrier was quoted as saying by Beijing Youth Daily that several rounds of communication have been carried out between Boeing and China Eastern, and China Eastern has raised related requests for a claim. "But the final decision will depend on the cause of the MAX aircraft grounding, whether it is a result of a design flaw or an operational problem," said the senior executive. The executive added that so far the suspension of MAX jetliners has had a limited impact as it is not the peak travel season. The Shanghai-based carrier has 14 MAX aircraft, which is a small number in its around 700-aircraft fleet. The airline operates the world's second-largest and Asia's largest fleet of Airbus jets. "Considering the amount of MAX aircraft used by China's three largest carriers, the impact of the jet model's grounding is under control. Existing flights can be carried out by other models," said Yu Nan, an industrial analyst from Haitong Securities. Compared to the two other major Chinese airlines, China Eastern has a comparatively small fleet of B737 aircraft, according to Yu. During its own internal fiscal briefing, an Air China executive noted that the carrier had planned to receive another 22 B737 MAX this year to double its 737 MAX fleet, but the plan was now suspended, subject to later decision, adding that "it is premature to study the compensation caused by the MAX jet grounding", China Business News reported. Boeing 737 MAX aircraft were grounded worldwide after two fatal crashes in Ethiopia on March 10 this year and in Indonesia on Oct 20, 2018. Chinese airlines flew 96 of the 371 MAX jets in service worldwide prior to the grounding, the most of any nation, flight-global.data reported. Boeing made its first demonstration of its updated MCAS anti-stall software outside the United States between April 9 and 11 in Shanghai. The aircraft manufacturer did not provide further details on the closed-door event with its customers. "Selecting Shanghai as the first overseas city outside the US to demonstrate its software upgrade procedures fully indicates Boeing's emphasis on the China market. Now, China stands as the largest market for civil aircraft. Ninety-six 737 MAX aircraft have been grounded in China, which accounts for a quarter of the total number globally," said Lin Zhijie, an aviation analyst at Carnoc, a civil aviation website. China was the first country to take action to ground the aircraft from commercial flights following the two crashes. The CAAC recently suspended the airworthiness certificate application of B737 MAX for Chinese airlines, which means that no new deliveries of this model will take place in China until the jet is confirmed to have no design flaws. The CAAC has also stopped issuing airworthiness certificate to the 737 MAX model, so it's very important for Boeing if the software upgrade can be recognized by the CAAC, Lin said. 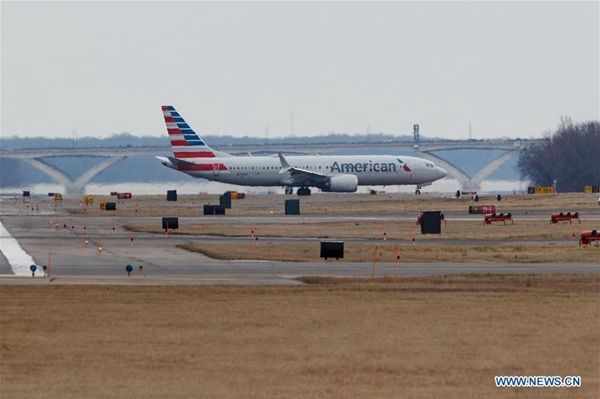 China agreed on Tuesday to join the US Federal Aviation Administration panel reviewing the safety of the Boeing 737 MAX jet. The CAAC joins Singapore, Canada and the United Arab Emirates counterparts on the panel. This is in response to the FAA's decision last week to organize an international team of experts to review the safety of the aircraft.